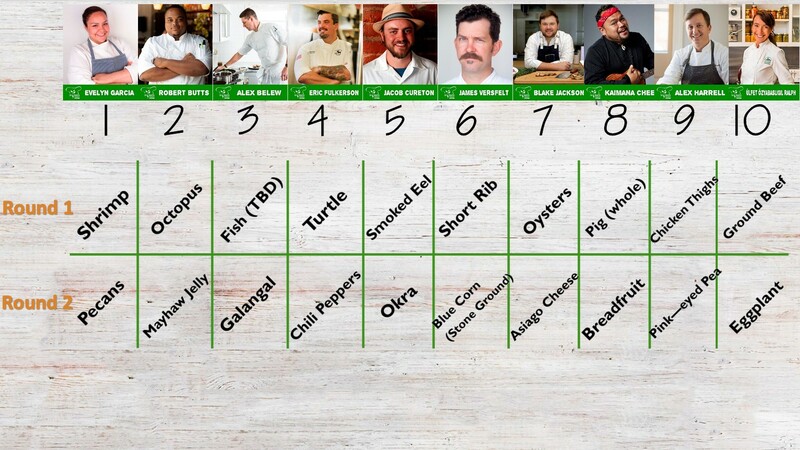 Chefs Taste Challenge Ingredient Draft – See What Each Chef Selected! On August 15, a live “Ingredient Draft” was held. All of the chefs joined in via conference call, then each chef drew a number that determined the order in which they would pick their protein. For example, Evelyn Garcia drew the number 1, so she was the first to select her protein (shrimp) from the list of ingredients. For Round 2, the order was reversed. Ulfet Ralph, who picked #10 in Round 1, had first choice of vegetables.